Are you looking to get cash for your junk car? Sell Car For Cash Dayton can help you sell your car today. All you have to do is give us a call at our Dayton, Ohio location and we can give you a quote for your unwanted car right over the phone. Short on cash? Who isn’t these days? One of the reasons why you may be short on cash is because of the constant car repairs you have to pay for. Bring all of that to an end and make money in the process. There are options that are easy, stress free, and eliminate extra money for advertising and going back and forth with those who want to negotiate a price for your car. Why junk your car with Sell Car For Cash Dayton? Do you want to sell your car for cash, in a jiffy? Look no further then Sell Car For Cash Dayton. We buy cars, regardless of condition, offering top prices on the very same day. That's right! We will buy your car, running or not; for a fair price. Sell Car For Cash Dayton is a professional business. We do not need to see your vehicle to know the worth and give you a cash offer. We will pay cash the same day you call. We offer you a guaranteed price, over the phone that will not change when we get there. Many businesses make a promise that is too good to be true. Imagine having cash in your hand by this evening. No, it is not too good to be true. That is simply how we do business. Why Sell Your Junk Car to Sell Car For Cash Dayton? Is Your Car Old or Used? You do not have to worry about cleaning or detailing your junk car. You would have to worry about this if you were selling your car on your own. When it comes to showing it to potential buyers, it would have to look somewhat decent, right? Well you won’t have to worry about that when selling to Sell Car For Cash Dayton. The car can be sold to us as is – which is a great thing. We Buy Any Car. You don’t have to spend extra money paying for newspaper ads. Why spend extra money in trying to make money? Sell Car For Cash Dayton can give you reasonable quotes on the phone to assist you in selling your car for a good price. Top Cash. Easy money transaction. You don’t have to worry about last minute negotiations, bad checks or dishonest prices. Sell Car For Cash Dayton will give you cash on the spot for your old car. 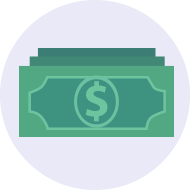 A guaranteed price and fast cash are a part of our car buying process. Wrecked Car? Junk Car? The age and condition of your car doesn’t matter at Sell Car For Cash Dayton. We will be sure to get a reasonable quote for you so that you can walk away with extra cash. Not able to bring your car in? No worries, we will come to you and pick up your car. 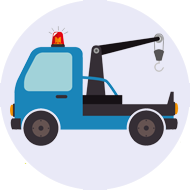 You won’t have to worry about towing service or risk a breakdown in the middle of the road. It’s one less task you have to worry about in giving up your old car. Top Cash and Great Customer Service. You will not have to worry about buyers who want to hold out on paying you or worry about negotiating games. 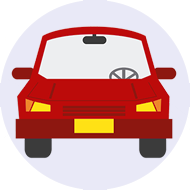 We offer the service you can appreciate on the phone and with our complimentary car pick up. Your car selling experience can be that much better when dealing with Sell Car For Cash Dayton. If you answered yes to all of the above questions give us a call today.